OMER’s StorePark semi-automatic parking system utilises both vertical and horizontal movement to park and store the maximum number of vehicles across either 2 or 3 levels. StorePark’s parking bays are accessed from ground level, each independently from the other. The upper and lower level platforms move vertically, while the ground level platform moves horizontally. 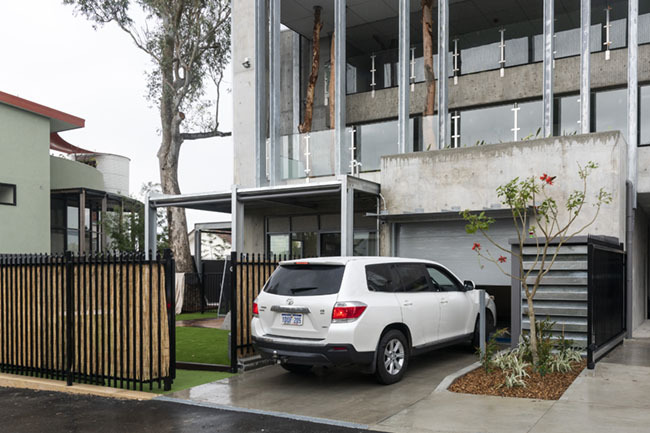 StorePark features one fewer parking space at ground level than both the upper and lower levels. This space allows the ground level platforms to slide left or right in order to create the free room to either lower the upper platforms, or raise the lower level platforms. This arrangement means that a unit of three (over 2 levels) or five (over 3 levels) parking bays are the smallest StorePark systems available. 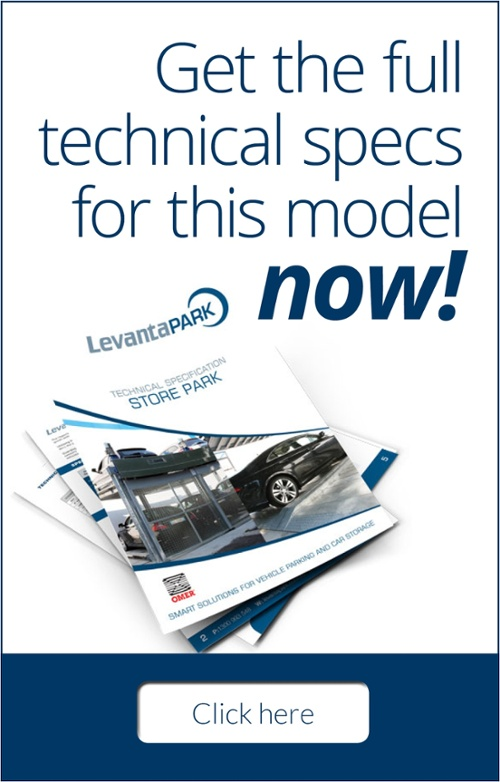 The StorePark system can be sized according to your design requirements and fitted with optional add-ons such as car dimension controls. A parking place is selected via a touch screen or remote control, connected to the control panel. As soon as the system receives the code, it automatically moves the platforms in order to position the required platform in front of the selected door. Parking a vehicle is straightforward. The door is opened, the vehicle positioned on the platform and the door closes. The system is then ready for another operation. StorePark’s doors can be electrically or remotely opened. Retrieving a car uses this sequence in reverse, with access via dialled code or remote controller used by the operator. To ensure complete safety for users, the platforms will only move when the doors are locked. Electrical sensors monitor when the door is in the closed position. The StorePark structure is completely self-standing, with no structural walls required to support the system. The motor and all cables are placed on the upper beams, making StorePark easier to install and providing lower maintenance costs. Every module uses torsion bars to ensure the platform constantly rises at an even rate, regardless of where the weight is positioned on the platforms. 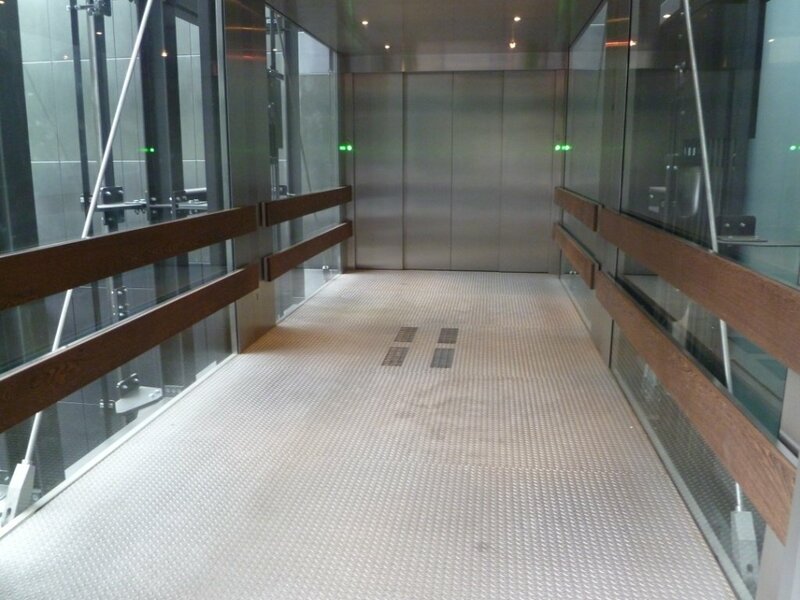 Every upper platform has an additional mechanical safety lock. In the event of chain failure, this mechanical lock will immediately activate to hook onto the column rack. StorePark’s gates are manufactured from anodised aluminium to ensure light weight, long life, and quiet movement.